We are nearing the end of our Balkan adventure. The home stretch, if you please. We left Bucharest, Romania with two weeks left on our Croatian car rental and over 1000 miles of road between us and Zagreb. The meandering route would take us through four cities in three different countries. Sometimes old habits die hard and we have to remind ourselves why we prefer to travel slowly. While in Sibiu, Romania a few months earlier, we had befriended another nomadic couple from the States and spent a couple of days exploring the area together. 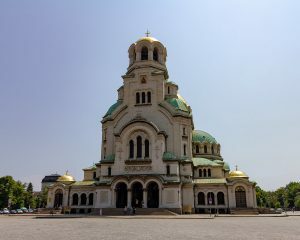 Dan and Di had since moved on and were currently located in the Bulgarian capital city of Sofia. We saw that as a perfectly good reason to add it to our itinerary and check out the city with our new friends. Sofia’s history, like many other Central and Eastern European cities, can be told through its architecture. In the city center the oldest building is the Rotunda of St George from the 4th century surrounded by archaeological remains from the Roman Empire. 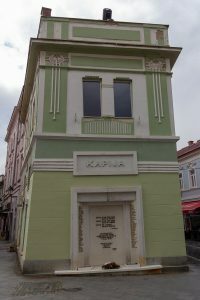 Many buildings would be classified as “Central European” and were built after the liberation from Turkish rule in the late 1800’s. 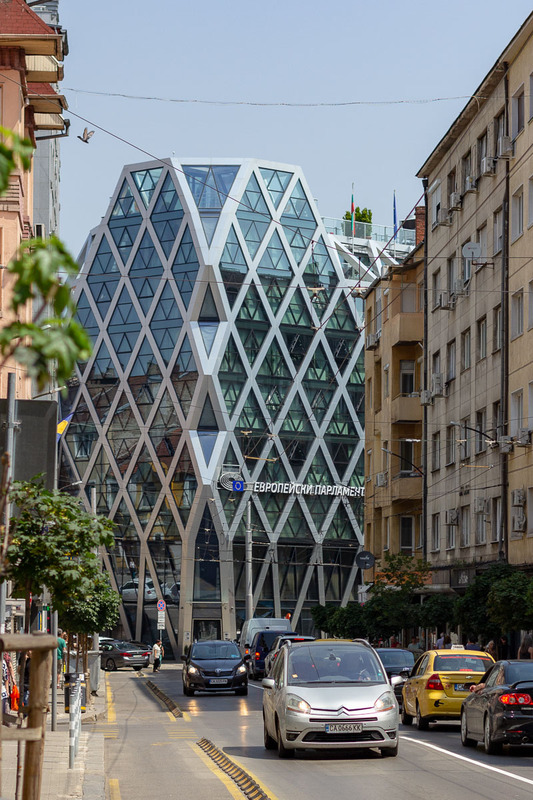 During the communist era, new construction took on the Stalinist Gothic style, much more utilitarian than beautiful. Most recently, buildings are much more modern with glass high-rises filling in the skyline wherever there is available land to be built on. Surprise! 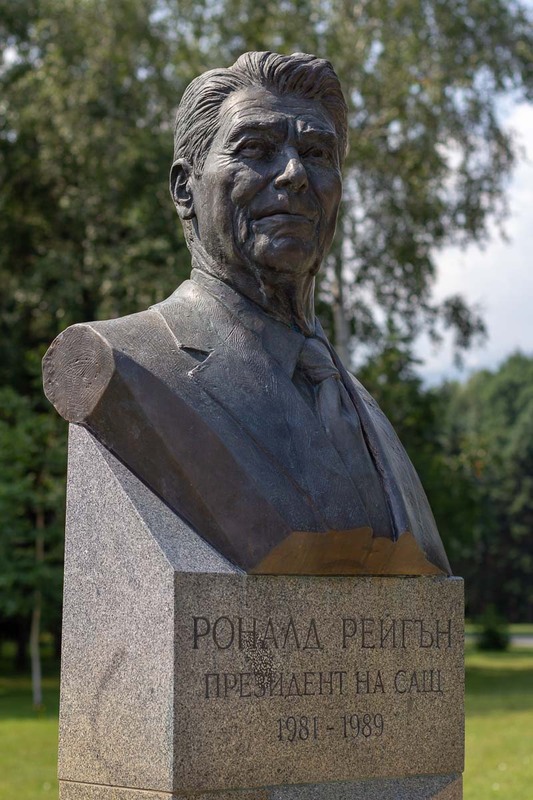 It’s Ronnie in an Eastern European park. 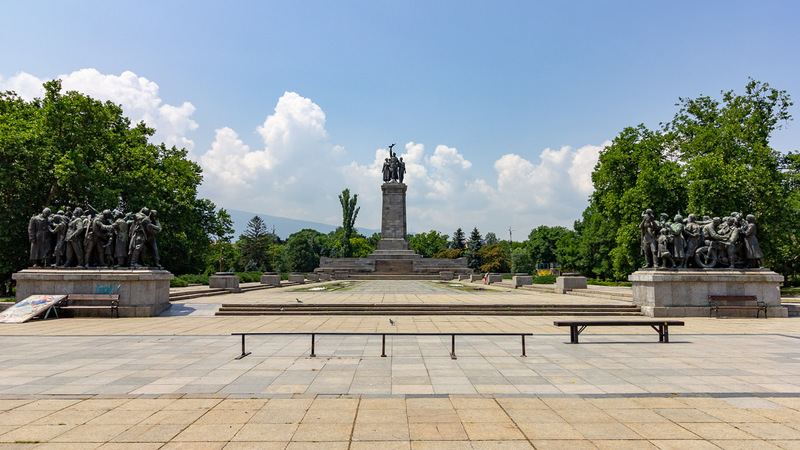 Sofia is a city of parks. Dotting the landscape are green spaces filled with trees, flowers, fountains, sculpture, and of course people enjoying the outdoors. As day transitions into night, many of these parks take on a bit of a nightclub vibe. Outdoor cafes where you would earlier enjoy a cup of tea or coffee were now serving beer, wine and cocktails to a techno beat. When there was no café available to purchase an adult beverage, it was socially acceptable and (as explained to us by a tour guide) legal to bring your own. The parks made the city feel alive at any time of day. 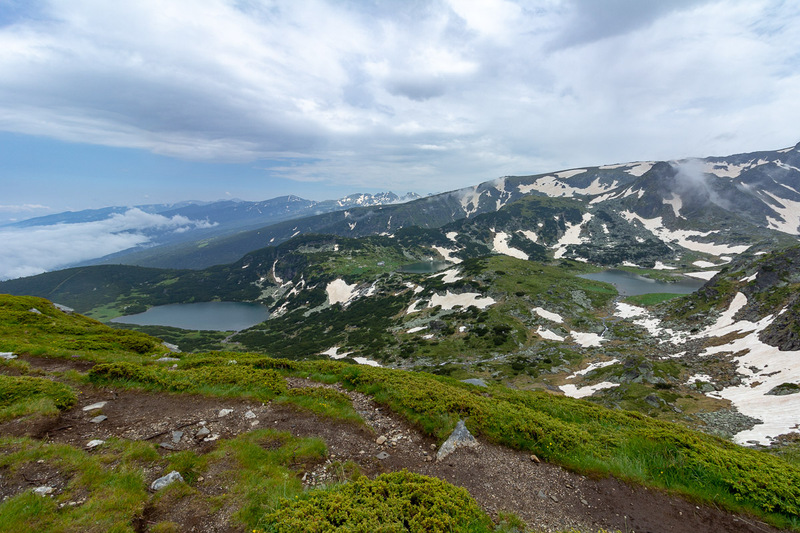 Surrounded on all sides by mountains, Sofia has several day hikes nearby. 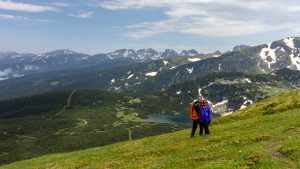 One of the more popular trails is the Seven Rila Lakes hike, about an hour and a half drive from the city center. The route takes you past seven glacial lakes situated between 7000 and 8000 feet in the Rila Mountains. The lakes are surrounded by protected wilderness and not directly accessible by car. From the parking area, we had three options of how to proceed to the lodge at start of the actual Seven Lakes hike. 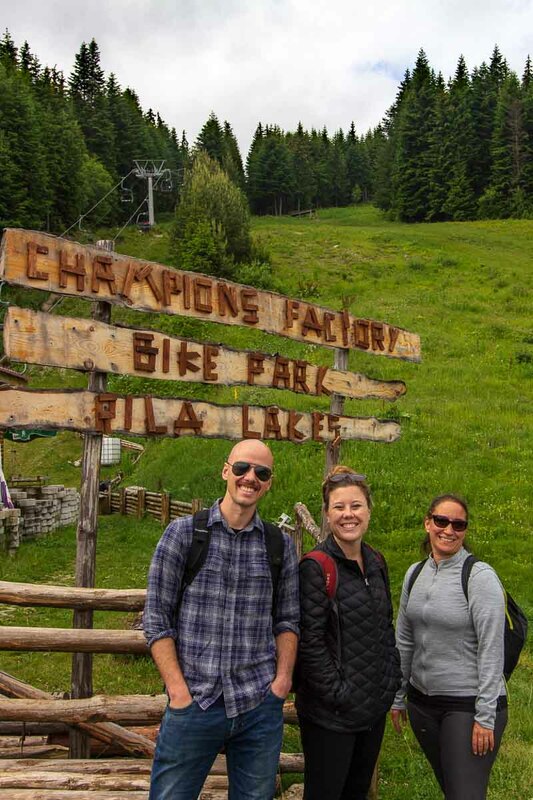 We could hike in, but the lodge was over 3 miles and 2000 feet of elevation gain away, so not our first choice. We could hire one of the many “tour guides” waiting in the parking lot to transport us in their 4WD vehicles. This seemed a bit sketchy given the protected wilderness between the parking lot and lodge and none of them looked at all official. Door number three and the route we chose was to take a ski lift to the lodge. 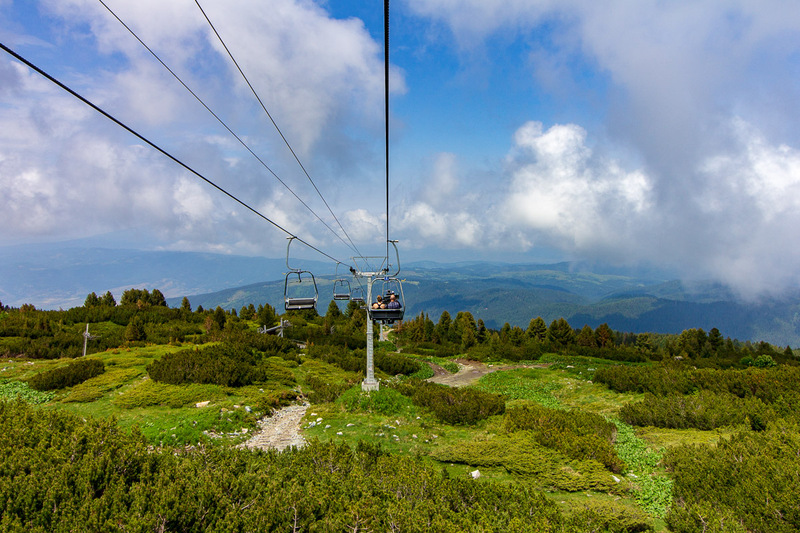 The views from above the treeline were stunning. From the lodge, the trail wasted no time and immediately started climbing to the first lake. As we climbed, we passed through meadows and each new vista seemed to eclipse the preceding ones. Eventually we hit snow, which helped to thin the crowds, but we kept going. Finally we reached the peak where we were supposed to be able to get a panoramic view of 6 of the 7 lakes, but the weather had taken a turn for the worse. Everything was socked in and the rain was coming down sideways. We tried to wait out the weather, but all we got for our trouble was more wet. Despite the uncooperative weather, it was a worthwhile hike. Our next stop was the south-eastern Serbian city of Niš (pronounced “Nish”). This was our second time passing through Serbia. 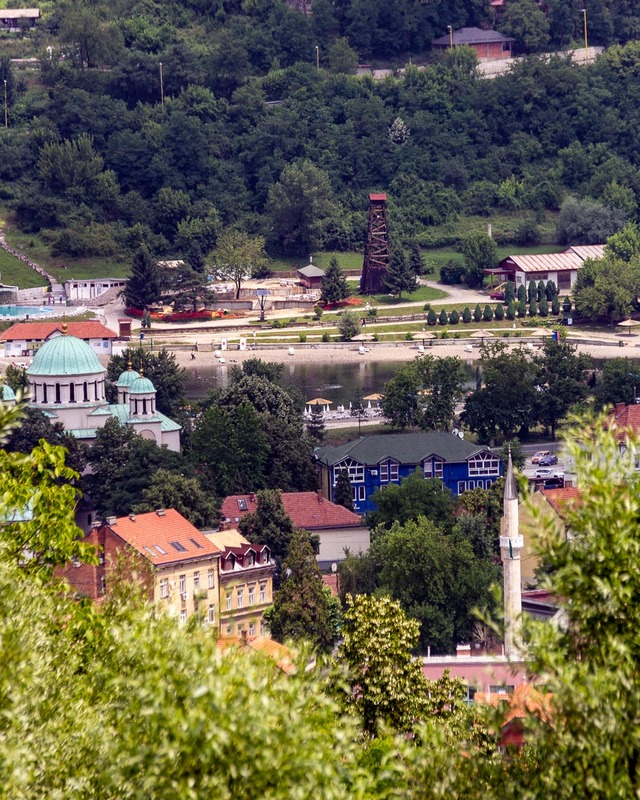 On the way to our Romanian house-sit gig, we spent a few days in the northern Serbian city of Novi Sad. It seemed to be a nice enough city, but we had the unfortunate luck of visiting during a couple of national holidays when nothing was open and had the added stress of dealing with prescription and dead mobile phone issues. Needless to say our visit was entirely unremarkable but feel another visit is warranted if we find ourselves in the area again. 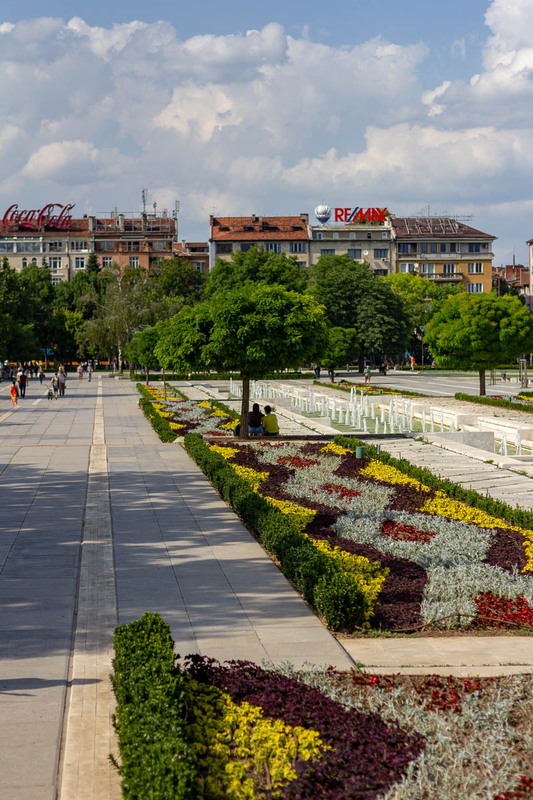 Niš is one of the oldest cities in the Balkans and has been at the crossroads of where east meets west throughout its history. I sometimes feel a bit like a broken record when I say a destination we visit had a tumultuous past, but this time the description is earned and we visited the tourist sites that prove it. 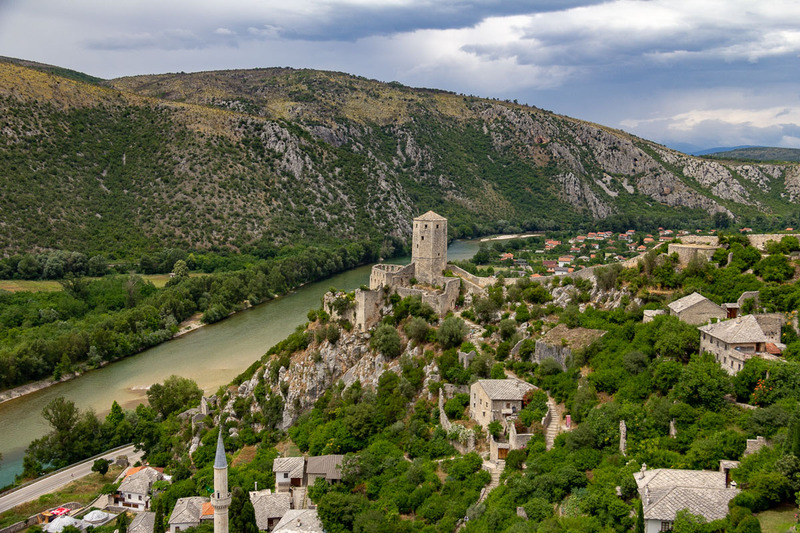 First of these is the Niš Fortress perched above the Nišava River. The site has been fortified since the Roman times, each new conqueror building on top of the ruins of the vanquished civilization. 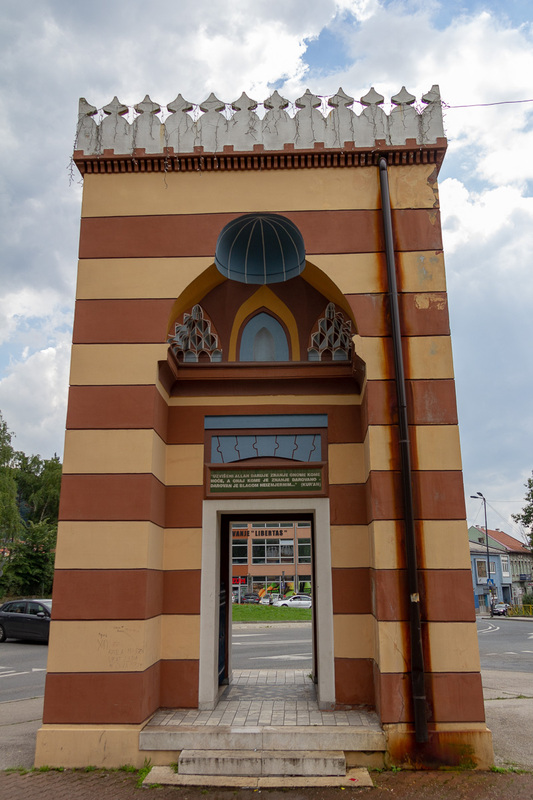 The current structure dates to the 18th century during Turkish rule and was later used by the Bulgarians during WWI to imprison and torture Serbian patriots. 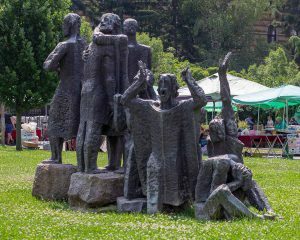 Today it is used for much more pleasant activities such as the annual film festival. 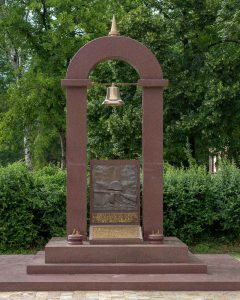 Next is the Red Cross concentration camp (Crveni Krst), named for a Red Cross facility near the camp. This is the first Holocaust site we have visited to shed light on Nazi atrocities beyond the Jewish and Romani (Gypsy) victims. In an attempt to squash resistance to the Nazi occupation, thousands of Serbians were taken hostage and eventually killed in this camp. In what can only be seen as some kind of morbid war time math, a wounded Nazi soldier justified the execution of 50 Serbians in retribution, killing a Nazi cost 100 Serbians. 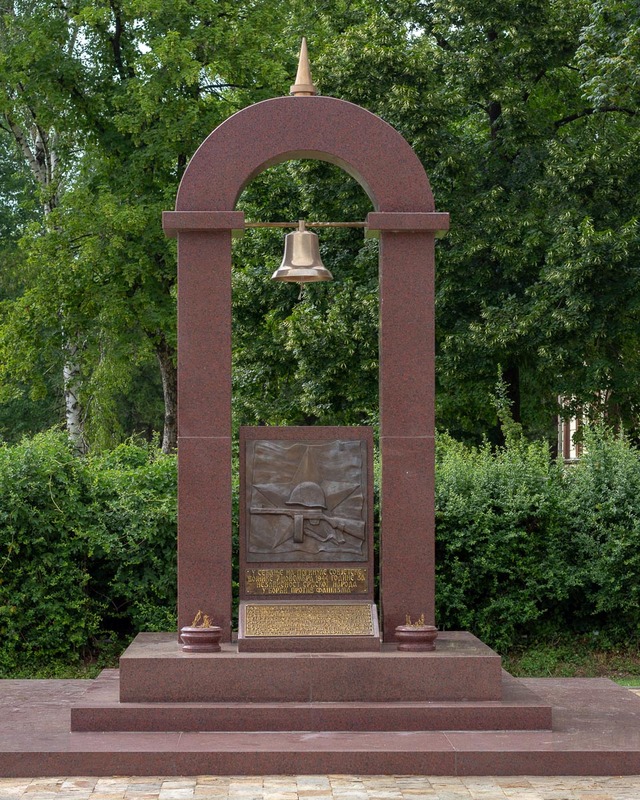 Even 75 years later, it is a sobering place to visit. Our final stop in Niš was the ominous sounding Skull Tower. 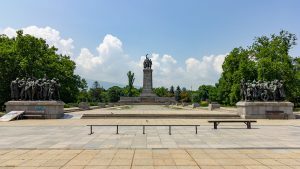 In 1809, a group of Serbian rebels were under attack by the occupying Ottoman army. 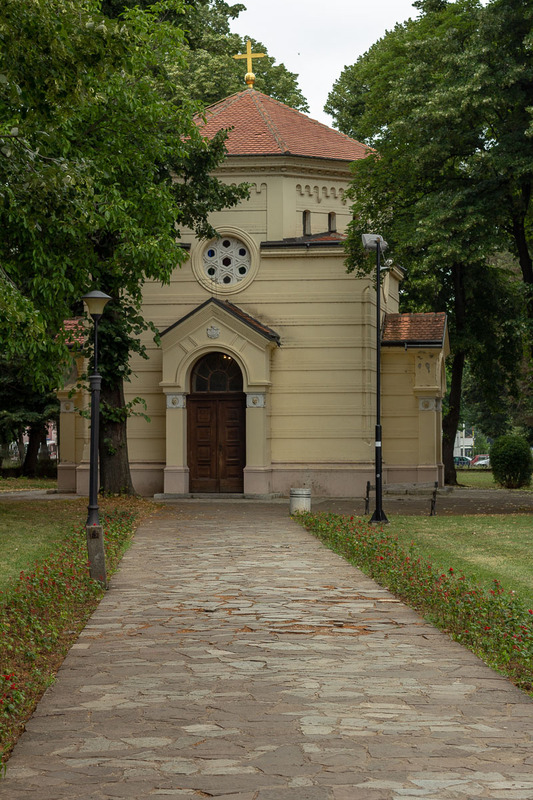 Instead of being captured and brutally executed, the Serbian leader chose to detonate their powder magazine, killing themselves and many of the Ottoman soldiers in the process. 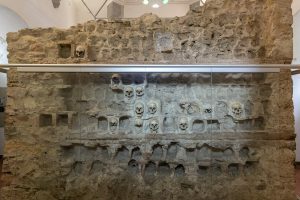 The Ottoman leader ordered a 15 foot high tower be erected and the skulls of the dead rebels be embedded in it to serve as a warning to others. Eventually the Ottomans withdrew from the area and the tower was enclosed by a chapel. Today 58 of the original 952 skulls remain and the tower is seen as a symbol of Serbian independence. 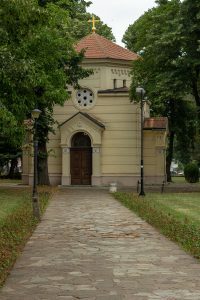 The first sign that you’ve entered Bosnia and Herzegovina is that instead of a community church you will often find a mosque. 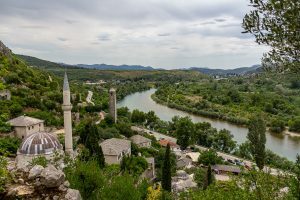 Informally known as just Bosnia, the predominant religion is Islam as opposed to Orthodox (Serbia) and Roman Catholic (Croatia). 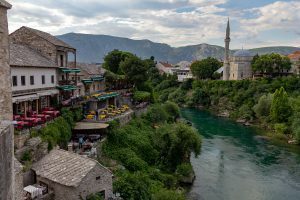 While the places we visited do have a noticeable Middle Eastern vibe, it is still as familiar and European as any other place we traveled to on our Balkan adventure. 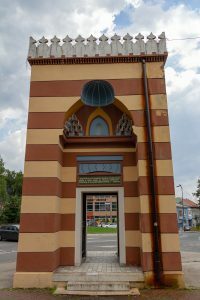 On the recommendation of a friend, we spent a couple of nights in Tuzla near the eastern border with Serbia. 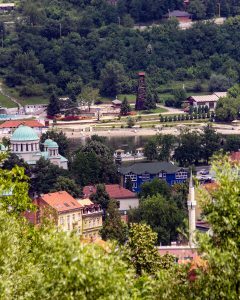 “Tuzla” is the Turkish word for salt mine and the city was named after the rich salt deposits in the area. The city is also the site of the only salt lake in Europe and its medicinal waters have been drawing visitors since Roman times. Modern mining operations have extracted enough of the salt deposits to cause parts of the city center to sink several feet, damaging several historic buildings to the point some have collapsed. 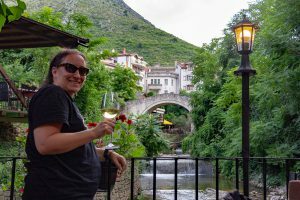 Our local tour guide told us that mining practices have changed to ensure no further geological damage to the area, but it seems the historic center may have an expiration date. 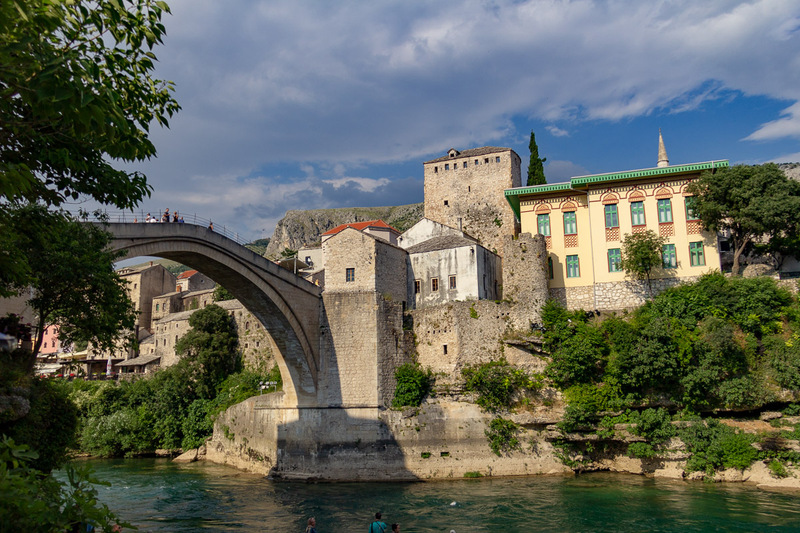 From Tuzla we traveled south-west to Mostar near the Croatian border. Here we found the Old Town with winding, cobblestone pedestrian streets full of interesting cafes perfect to lose an evening to. The dominant landmark is the Stari Most (Old Bridge) crossing the Neretva River some 79 feet below. 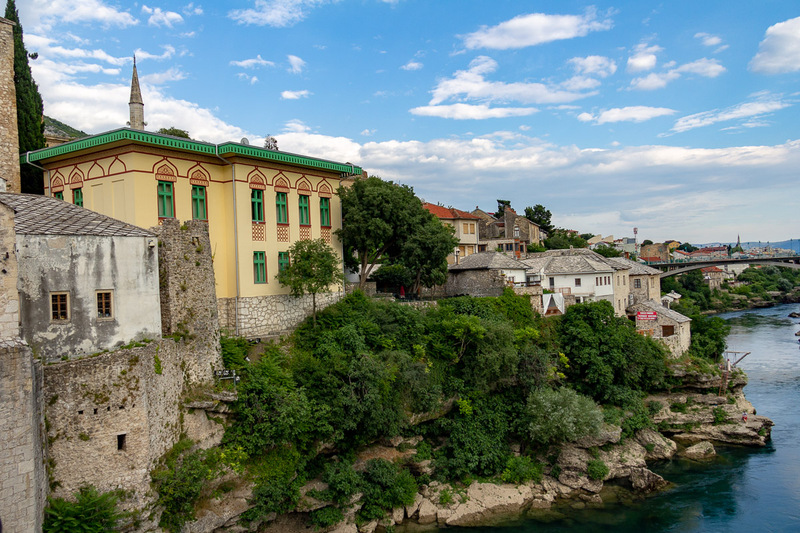 Built in the mid-1500s, it was in use for over 400 years before its destruction during the Bosnian War in 1993. After the war, a multi-organization coalition formed to fund the reconstruction. Completed in 2004, workers used similar materials and construction methods as the original bridge. 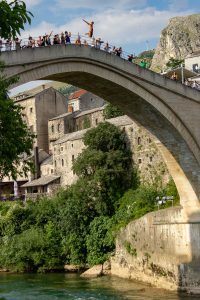 It is common for local young men to entertain the tourists by diving off the bridge into the river below for tips. We spent a couple of hours one afternoon sitting in a café near the river’s edge watching the spectacle. There are several worthwhile tourist destinations a short drive from Mostar. 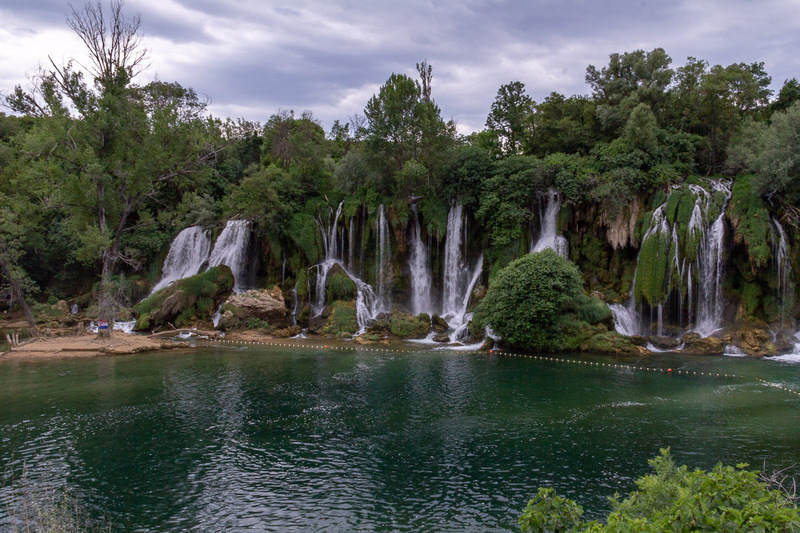 Kravica is one of many karstic waterfalls in the area formed by water dissolving limestone into constantly changing cascades. Had it been warmer, we would have been able to swim in the pool at the base of the waterfall. 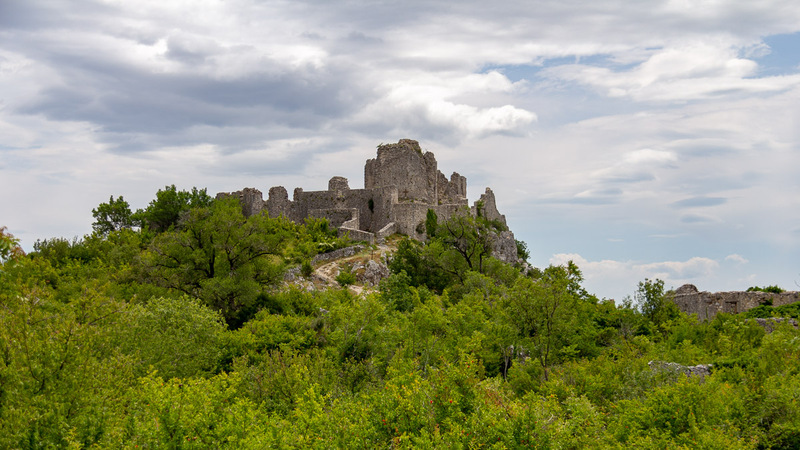 Nearby is the Ljubuški Fortress, once the home of Herceg Stjepan Vukčić Kosača a 15th century Bosnian ruler. The views of the valley below are spectacular, but the fortress itself has been neglected and is in dire need of preservation. If the trash found at the site is any indication, it is primarily used as a place for the local youth to party away from adult supervision. 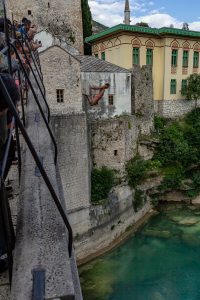 The Blagaj Tekija is a former Turkish dervish (yes, the whirling kind) monastery situated in a canyon at the site where the Buna river spring emerges from underground. 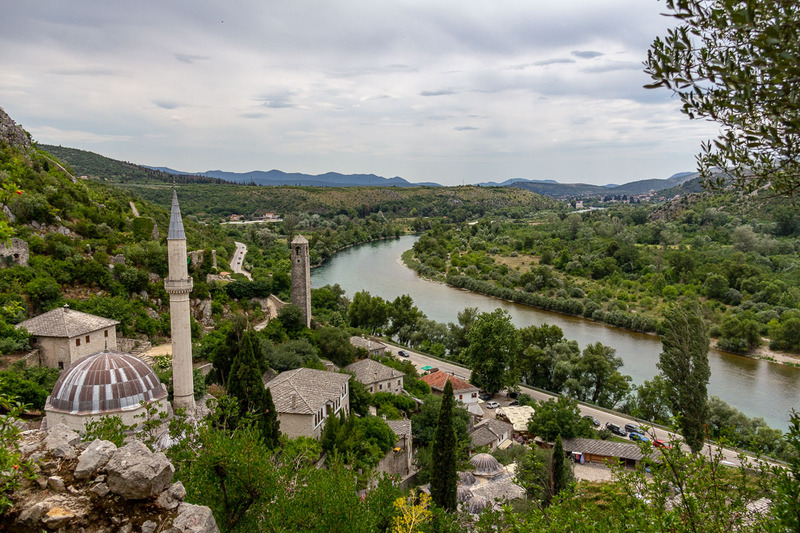 The hillside village of Počitelj contains a medieval fortress and watch tower built by the Magyars and an Ottoman era mosque. 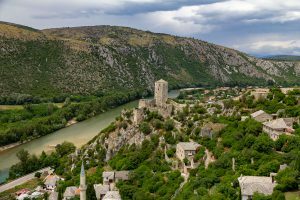 The views of the river valley below from the fortress and watch tower are stunning and make it obvious why the site was strategic. 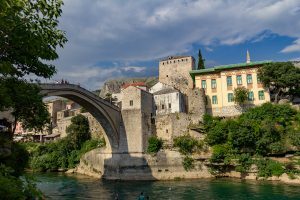 After visiting Mostar, we headed north to Zagreb. Our time Bouncing Around the Balkans will end there.